The foundation of probability theory was established in 1654 through a series of letters between Blaise Pascal and Pierre de Fermat. These letters traded solutions to a gambling problem raised by the Chevalier de Méré. Probability theory grew slowly over time. Approximately one hundred years after Pascal and Fermat solved a gambling problem, Count Buffon analyzed another gambling problem. Surprisingly, his analysis revealed a close connection between a game involving dropping a needle onto a grid of regularly spaced lines and the number Pi (π). Gamblers at that time were beginning to realize that understanding the theory underlying any game would allow them to maximize winnings and minimize losses. 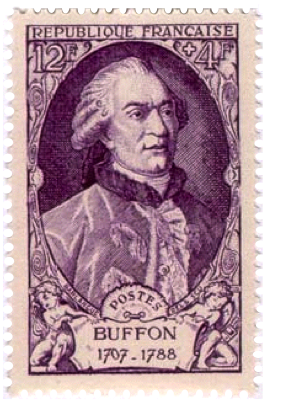 Count Buffon was born into a wealthy French family and spent his life pursuing his interests in mathematics, physics, and natural history. His love of nature led him to become curator of French Royal Gardens and Museum. The simplest case of Buffon’s needle problem is when the separation of the lines, L, equals the length of the needle. The question then becomes what is the probability that a needle dropped on a grid of these equally spaced lines intersects one of the lines? The needle problem is an early example of what we now call geometrical probability because its solution involves the ratio of two known areas. The project can be viewed and downloaded by clicking on the following link. View this short video to observe a 1000-needle run of the Buffon Needle simulation. The simulation starts by dropping a single needle three times to show you how it works and then the slider is set to 1000 needles. Check the Approximation to π window in the lower left corner when the simulation ends. As usual, a free PDF document describing the mathematics and Scratch programming techniques is available on request by sending an email to grandadscience@gmail.com.